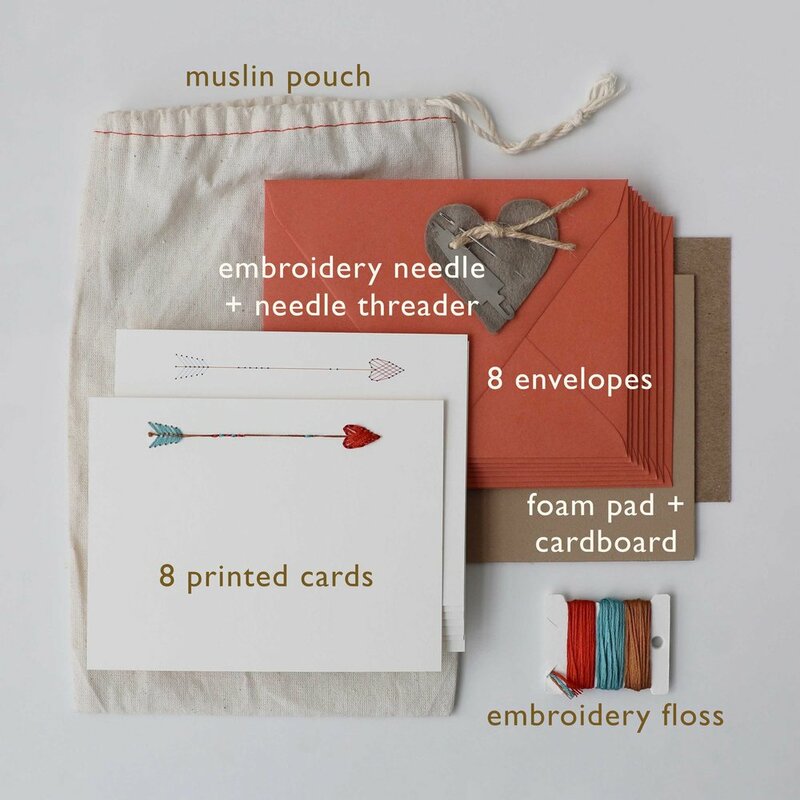 We designed these kits for you to make your own beautifully embroidered cards. 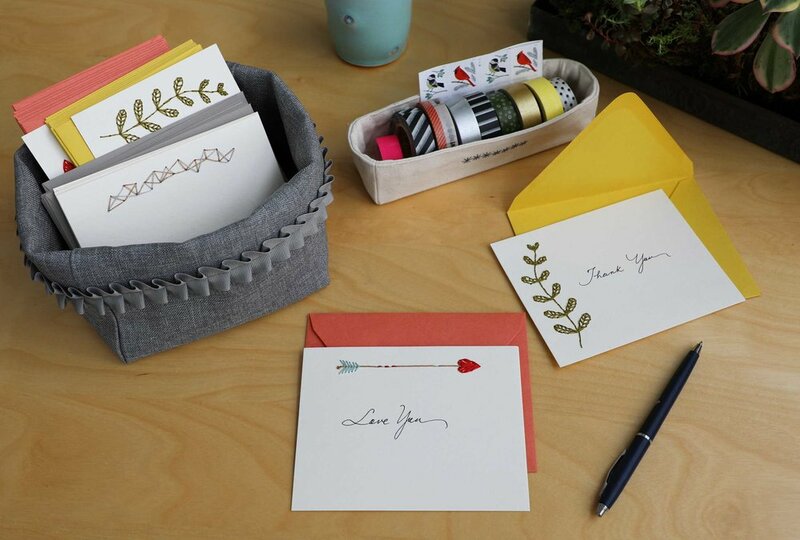 Stitch one card to send a greeting to a sweet someone, or make a small batch to gift as a stationery set. This is an easy project to take along with you when traveling or just for those moments in between. We love embroidering and were looking for more ways to think outside the hoop. The idea of stitching on paper intrigued us because we love a mixture of textures. There is something special hearing the sound of the embroidery floss pulling through the hole in the card. You should try it!